History of the Medical Academy goes back to the beginning of the 21st century: in 1918 it was medical faculty of Taurida University. Today it is an up-to-date educational institution upgrading itself to keep abreast of global trends in medical education and research, developing its intellectual potential and providing top specialists for medical services. The Academy has always been striving for excellence in teaching and research. To enhance the quality of education the consecutive model of medical education has been created at the Academy: the preparatory department, preparatory courses and medical lyceum; 5 faculties to train doctors and a faculty of post-diploma education. The Academy has elaborated a holistic approach as to the organizational, scientific and methodological aspects of the educational process. The clinical departments are provided with all the necessary equipment and demonstration aids: educational films, moulages, phantoms, diagnostic inventory - everything has been done for the educational process to meet the modern requirements. The Academy is particularly proud of its highly qualified academic staff, which totals 799 persons: 106 Doctors of Science, Professors, and 524 Candidates of Science (Ph.D. holders), Associate Professors. 40 Academy professors are academicians and corresponding members of domestic and foreign Academies of Sciences; 14 are State Prize laureates, 60 have honorary titles. About 4.7 thousand students study at Medical Academy named after S.I. Georgievsky, including 1.4 thousand foreign citizens from 40 countries of the world. 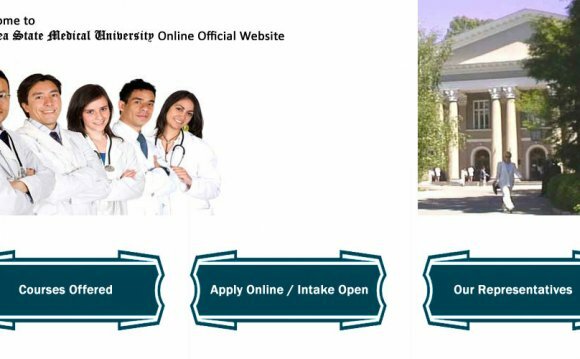 Since 1999 English has been the second language of instruction, which makes Medical Academy attractive for foreign citizens coming here to study. For the constant development of cooperation with foreign countries and high quality of education the University was awarded the title of laureate in the rating of Ukrainian higher schools “Sofia Kievskaya – 2004”. For over 90 years the Academy has been training professional specialists. Academic excellence has been highly appreciated by the International Education Society, which has conferred the Academy AA rank denoting TOP INSTITUTION THAT IS INTERNATIONALLY KNOWN AND RECOGNIZED. Encouraging enthusiasm for knowledge, intellectual challenge, continuous learning, and scholarly endeavours, inspiring accomplishment within one’s field of study are the essential part of the Academy commitments.